Our caster correcting radius arms are 100% Made in USA from laser cut steel. 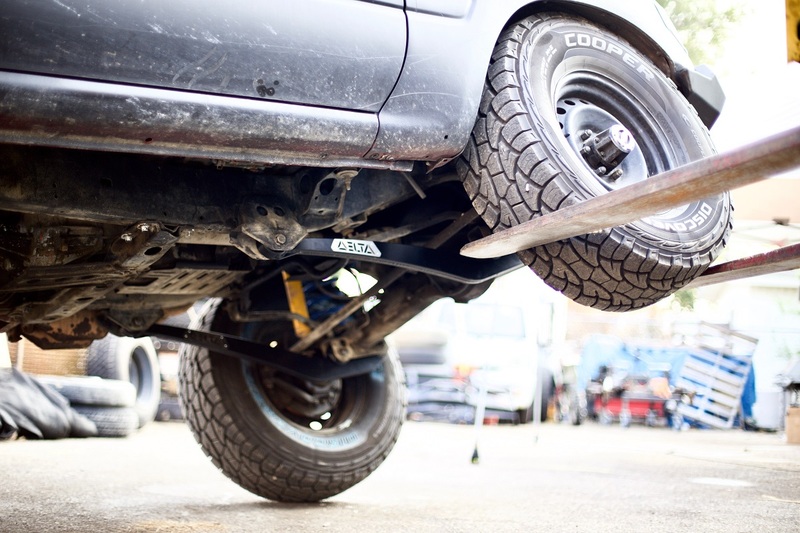 After installing as small of a lift as 2” on their Land Cruiser, many people find the handling of their rigs to be unstable. This is due to the caster being incorrect. Our radius arms are available in many different sizes to suit your needs, getting your 80 back on “track” and driving the way it should. Our arms not only correct the caster, but they also keep your wheelbase stock. This is key for keeping factory handling characteristics, and something you will not achieve by using caster correcting plates. The arms are available with or without NEW OEM bushings installed and with NEW OEM hardware (+$60). The Toyota Factory Service Manual states this hardware is "one-time-use", we do not force you to purchase this hardware as you may have your own source for it, but we do require if we do the install. All arms are powdercoated semi-gloss black. We just added the availability of Toyota OEM hardware to replace your old bolts when installing your new Delta radius arms! The factory service manual says the hardware is “one time use”, so we highly recommend installing with new hardware. If you have your own source for OEM hardware, we won’t force you to buy these.